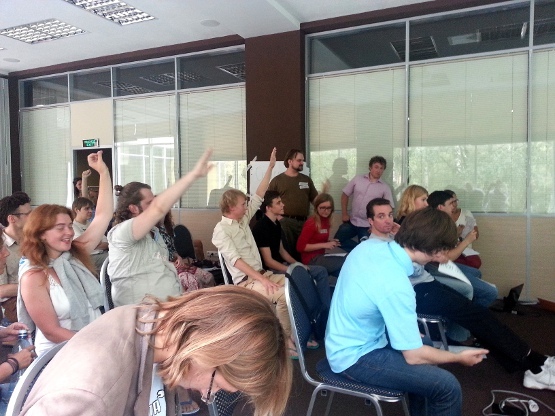 Last weekend, 23 to 26 August, Democracy Forum 2012 took place in Repino just outside St Petersburg. The forum was organized by the Swedish International Liberal Centre (SILC) together with the St Petersburg branch of the Russian Democratic Party Yabloko and invited a long range of NGOs active in St Petersburg. I attended the event together with company from Liberal Youth, SILC and Liberal Party colleague Haralampos Karatzas. Besides listening to alot of interesting presentations and participating in democracy workshops, I delivered a presentation together with Haralampos on the organization and budget process of Haninge municipality. Instead of boring my readers with the contents of that, here are some nice pictures of my fellow democrats in Russia. There also was a bit of #DemocracyForum twittering going on. The visa process was long and strenuous. Half-way through we discovered that the process had been changed and we had to fill in a form online, print it and hand it to the embassy. Half-way through once again we were put to a halt because the embassy had decided political parties (Yabloko in this case) were no longer allowed to be inviting party for business visas. So we applied for turist visa with a purpose, as it’s called. 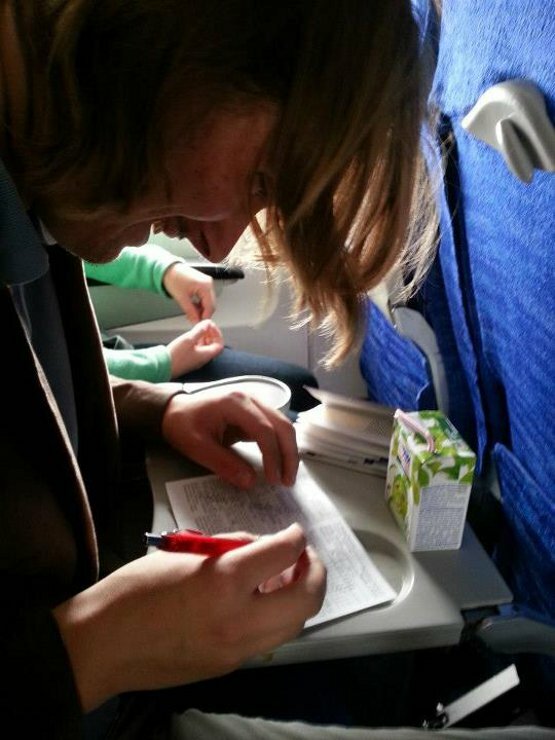 In the picture, Andreas Froby is filling in the last obstacle before entering the otherwise lovely country of Russia, the immigration form. 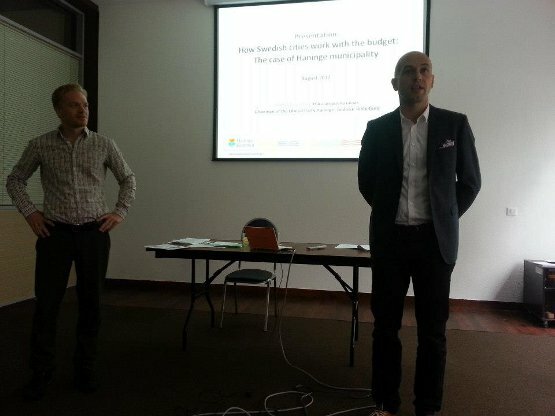 Me and Haralampos giving our presentation on the organization and budget process of Haninge municipality. 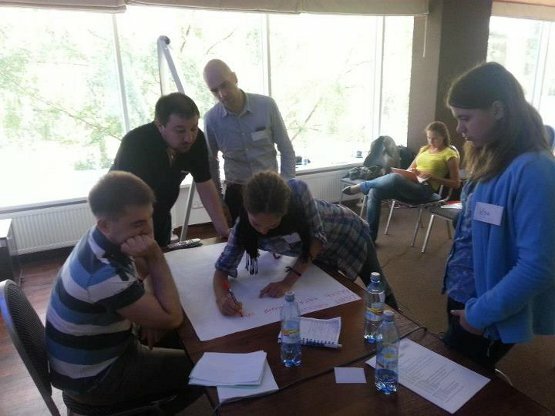 Workshop planing a LGBT campaign. 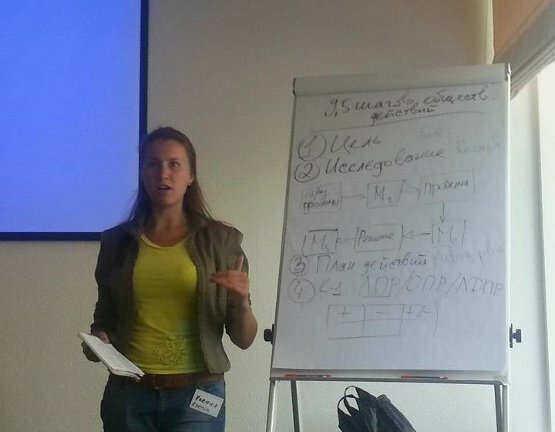 Ksenia Vakhrusheva of Yabloko (Youth) giving a presentation on how to organize a campaign according to management principles. 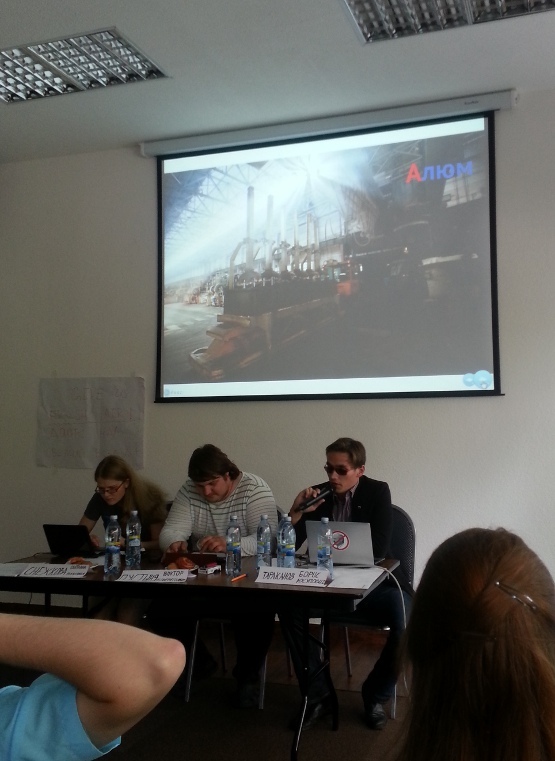 Yabloko Youth representative Nikolay Artemenko and friends seriously getting into character in a role-play of a public hearing.